The OH! 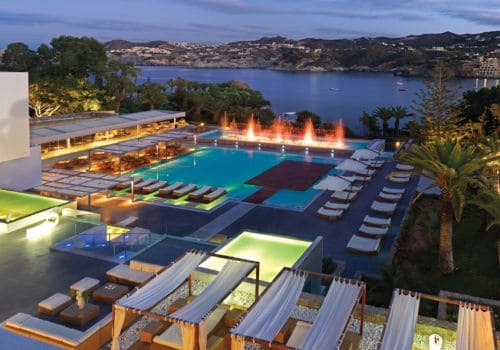 All-Suite Hotel is a luxury and unique hotel that comprises of 71 luxury suites, maisonettes and villas and offers sharing and private temperature-controlled heated swimming pools with each of its properties. 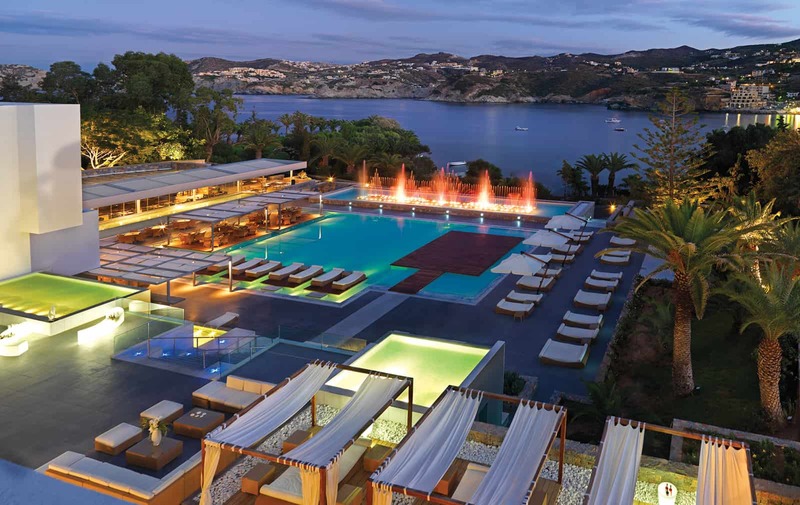 As part of the larger Out Of The Blue Capsis Elite Resort, Oh! All Suites is totally private for VIP guests offering exclusive services and facilities: private reception, private restaurant for breakfast, private dining area, main pool and pool restaurant, bar/café and spa. With a range of suites and properties from a one bedroom suite with private jacuzzi to a luxury four bedroom villa with a private pool, this property is one of our favourites and is certainly one for the discerning traveller. Spacious and luxurious, these one, two or three-bedroom suites boast private jacuzzis on their terraces that afford beautiful views of the Aegean Sea or of the lush garden. The warm classic decor and elegant Italian Boffi collection furniture lend these suites a truly homely feel. 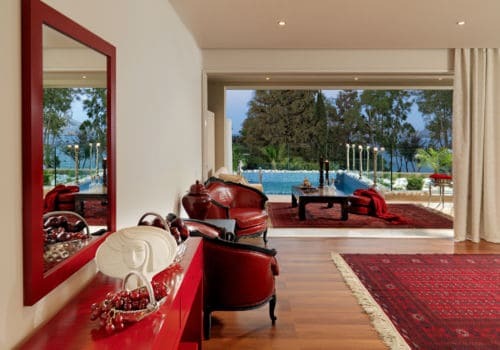 Overlooking the lush gardens or the Aegean Sea, the lavish one, two or three-bedroom suites each have a living room that is ideal for a romantic break in Crete. 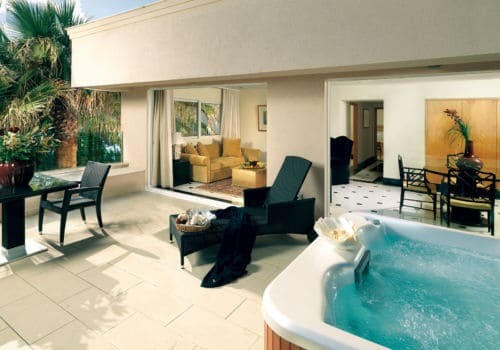 Each suite features a shared garden and outdoor pool ideal for a relaxing dip. These impeccable one, two and three-bedroom suites each have their own garden area complete with a beautiful private pool. The finest in luxury and comfort, each suite allows you to enjoy privacy to ensure you have the most peaceful and restful stay possible. Choose from a two, three or four-bedroom villa at Oh! All Suites. Each with their own private pool, the properties are ideal for groups of friends or families wishing to travel together and enjoy their own secluded area to unwind. These unique beachfront 2-storey villas are a comfortable and secluded refuge ideal for nature lovers. Each villa affords peaceful sea views, a private garden and plenty of space. There are a number of different hotel and accommodation styles within the resort, Oh! All Suites being the flagship. Located just 20 minutes from the city and airport in Heraklion, the peninsula is next to the traditional fishing village of Aghia Pelaghia.